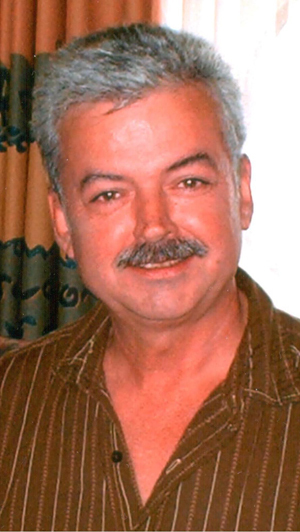 Mark James Pelno, 63, of Tupper Lake passed away at home, Sunday September 9. Mark is survived by his lifetime partner, companion and best friend of 33 years, Joe Scungio, of Tupper Lake. They met in Largo, Florida on October 20, 1985. Survivors include his sister Janet Perth and her husband Carl of Tupper Lake, his brother Wayne Pelno and his wife, Nakin Kim both of Tupper Lake, his brother James Pelno and his wife Anna of Forestport, New York, his sister Carol Rockwell of Spring Hill, Florida, his brother Larry Pelno and his brother Terry and several nieces and nephews. He was predeceased by his mother and father, Mable and Lorne Pelno. Mark moved to Florida in 1977 and began a career in the hospitality industry and started his work at the prestigious Belleair Golf & Country Club, in Belleair, Florida and worked his way up to Assistant Club Manager where he was employed there through 1997. In 1997 he was named Club Manager of Cypress Run Golf Club, Tarpon Springs, Florida for three years before moving back to Tupper Lake in May of 2000. In 2001 he became the Restaurant Manager of the prestigious Wawbeek Resort until returning to Sarasota, Florida in October, 2004. He returned to Tupper Lake in September 2008 and eventually retired. He loved his family members and his hobbies were fishing, camping, gardening and cooking for others. He particularly enjoyed entertaining and cooking for friends and family. His wishes were not to have a memorial, but instead, when buried and yet to be determined, a gathering of family and friends to celebrate his life.